If you’re in sales, there’s a good chance you spend half your day in your inbox. Despite the dominance of email in modern sales, few salespeople spend time brushing up their cold email best practices. They either rely on warm leads or worse, cold calls to get appointments and push prospects down the pipeline. The truth is that cold email can convert fantastically well when done right. In this post, I’m going to show you the best practices and processes you need to follow to get your cold emails read and responded to. 47% of recipients open emails based on the subject line alone. Even if the content in your email is flawless, if the subject line doesn’t entice the recipient to open the mail, your copy doesn’t matter. Mention names, preferably the recipient’s name. According to Retention Science, simply doing this will increase open rate by 2.6%. If mentioning the recipient’s name isn’t possible, mention their website/business name. Keep the subject short so that it can be read at a glance. This is particularly important today since 53% of emails are opened on mobile which truncates long subject lines. Make it informative to prevent the recipient from guessing about the content. It’s okay to be as specific as possible. Induce curiosity so that the reader wants to open the mail (e.g. ask a question in the subject). 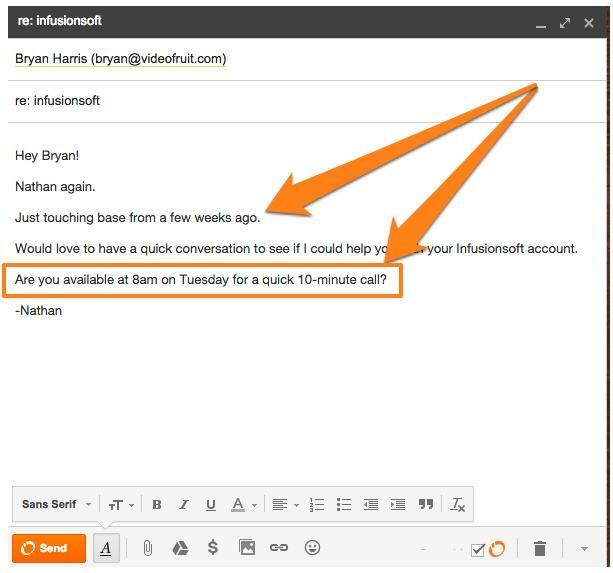 Indicate that the email will be easy to answer (by using words like “quick” or “2 minutes of your time”) so that they have a greater incentive to open the email. Personalized e-mails have 29% higher unique open rates and 41% higher unique click rates than non-personalized e-mails. To help with personalization, browse the recipient’s public social feeds (blogs, Twitter, etc.) to see what they’ve done recently. Try working that into the subject line. When contacting prospects do some research and ensure that your solution actually matches their needs. Be relevant to their needs and draw their interest by showing that you’ve done the background work to understand them and their requirements. 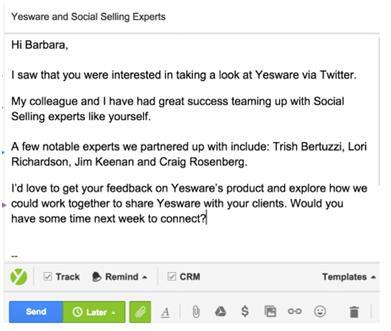 The subject line calls the recipient a “social selling expert” – such ego bait can work wonders. The first paragraph grabs the recipient’s attention by referencing a recent Tweet. The second paragraph draws prospect’s attention by providing a reason to engage. Third paragraph social proofs their service and mentions direct competitors creating an internal fear of getting left behind. Make sure to specify how your company or service can provide value to the prospect whenever you send an email. Do not explain your features but tell your prospect what’s in it for them if they choose to work with you. One way to do this is to highlight your prospects’ key pain points or solve their biggest business concerns. This “pain or pleasure” approach can be a far better motivator than simply asking for something. This email highlights how Xactly can help the business reduce errors in sales commissions during payments and have more reps hitting quotas. By focusing on the “pain” of losing customers and the “pleasure” of 5% more reps hitting quotas, it grabs the reader’s attention. Plus, the email doesn’t beat around the bush. It tells the recipient exactly what you’re offering and what’s in it for them. After you have gotten your prospect to open the email and read your message, the last thing you want is to not give them clear instructions on the next steps they should take. Without including a clear CTA, you’ll leave prospects confused and uninterested. At the end of every mail, there should be a clear understanding of what you want from the recipient – a meeting, a tweet, etc. This email specifies an exact date and time for a “quick call”. This makes it easy for the reader to respond to the request. According to the Marketing Donut, 80% of sales require at least five follow-ups. Your prospects are busy and may have missed your email entirely or may have forgotten to get back to you. Furthermore, before you can successfully convert a lead, you need to build a relationship and win their trust. 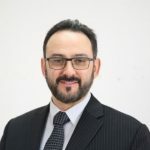 It is very rare for a prospect to make a decision after a single mail about a software or service that will change the way their business works. This email is short and starts by reminding the reader why they’re receiving the message in the first place. And as before, it closes with a strong CTA. 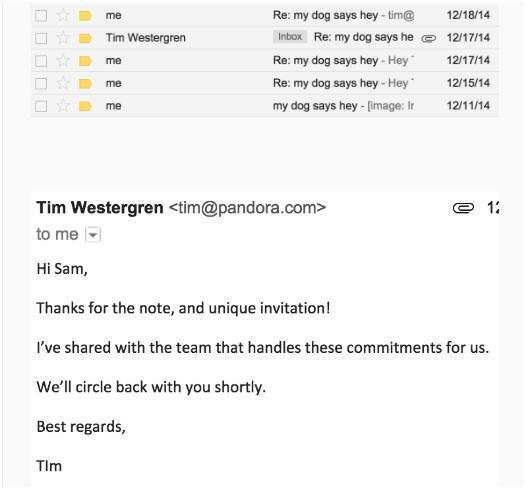 It took at least three attempts spaced evenly every few days before Tim responded, but respond he did. You can use tools such as YesWare or Boomerang for Gmail to determine whether your recipient actually opened the mail or if your mail was lost in the sea. You can then use this information to determine how to follow-up appropriately. This might not work for every business, but when you’re trying to land your first few paying customers, it can be useful to create hyper-targeted emails that address a customer’s specific pain points. The first two paragraphs are templatized. The third paragraph, however, addresses the prospect’s specific needs. Such a targeted email is easy to replicate since you just need to change one line to personalize it for every recipient. You can take things even further by creating something unique for each prospect. This requires more effort upfront, but you’ll nearly always get a response. 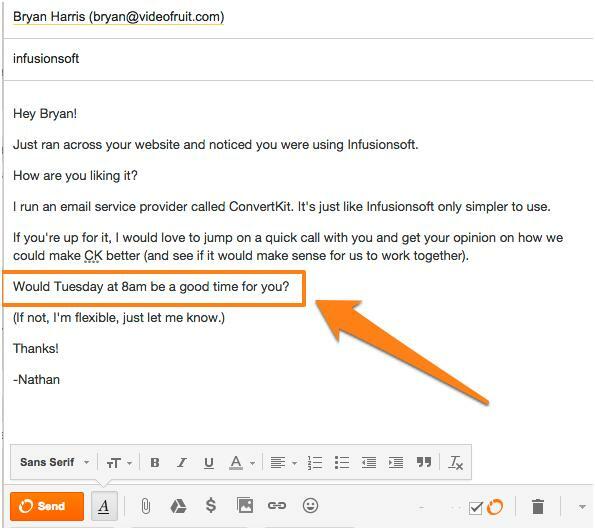 Obviously, such heavy personalization can’t work for salespeople who need to send hundreds of emails every day. But if you’re looking for nearly guaranteed responses, such hyper-targeted emails can work exceptionally well. Contrary to popular belief, cold emails are still effective if done correctly. Though there is no exact formula to guarantee positive results, you can implement tactics like the ones above to significantly increase your success rate.